A healthy, active adult needs 7–8 hours of sleep every day. Without it, we begin to lose the ability to concentrate, solve problems, remember, stay alert and function at the higher levels of our ability. There are many things that can disrupt our natural sleep rhythm such as worry, stress, overwork, difficult emotions and interruptions in our daily lives. All of this can lead to insomnia or the inability to fall asleep and stay asleep. This is called sleep debt. Sleep debt can be defined as chronic lack of quality and duration of sleep throughout the night. It is not uncommon for students to feel so fatigued that they make up their sleep debt by taking a 2–3 hour “nap.” Although napping can be beneficial, this is not considered healthy napping behavior. Find out more about the science of napping. 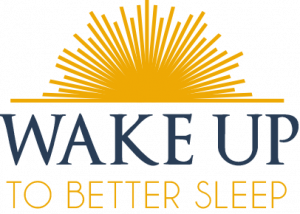 If you are ready to get sound sleep as part of your overall daily health habit, our certified health coach can help you identify strategies to create the right environment and review important habits that lead to quality sleep. In addition, you will learn important mindfulness skills when thoughts and emotions associated with stress interfere with sleep. We also have a variety of contemplative classes that have been proven to reduce stress and are beneficial for quality sleep.